When you need to ship a car from Hawaii to New Hampshire, Hawaii Car Transport is the most reliable and affordable way to go. With multiple sailings every week and through our advanced network of transporters nationwide, we can simplify your relocation and reduce your rates when shipping from Hawaii to New Hampshire. Once your vehicle arrives on the mainland, a certified transporter will be waiting to inspect your vehicle and load it on to the carrier. Your vehicle will then be transported to your specified destination in New Hampshire. Upon delivery, the driver will unload the vehicle and perform a final inspection, ensuring that your vehicle was delivered in the same condition as when it was dropped off at the port in Hawaii. Popular areas that we service in New Hampshire include Manchester, Nahsua, Concord, East Concord, Derry Village, Dover, Rochester, Salem, Merrimack, Keene and all surrounding areas. Based on recent dispatch reports, the availability rating from Hawaii to New Hampshire is 8/10. When calculating availability, many factors are taken into account in order to provide you with the most accurate transportation data and each state is rated individually - Hawaii has a rating of 5/5 and New Hampshire has a rating of 3/5, combining for a total availability rating of 8/10. Upon scheduling your shipment, you will receive a booking number that will enable you to track the status of your shipment online 24 hours a day. Your shipment status will be updated in real time and serves as a helpful way for us to keep you informed every step of the way during transit. 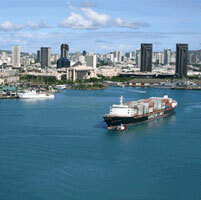 "I was very satisfied with shipping my car through Hawaii Car Transport. It very extremely easy, no problems and very fast. I was walked through every step. 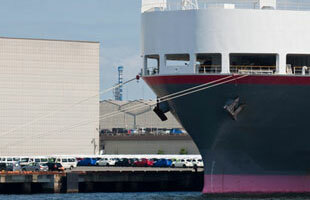 Had a very good experience and will choose this transport company again if I need to ship my car."